I posted these brownies last summer, but you know what? You need them for St. Patrick's Day. These brownies have been rattling around in my head for a while now. 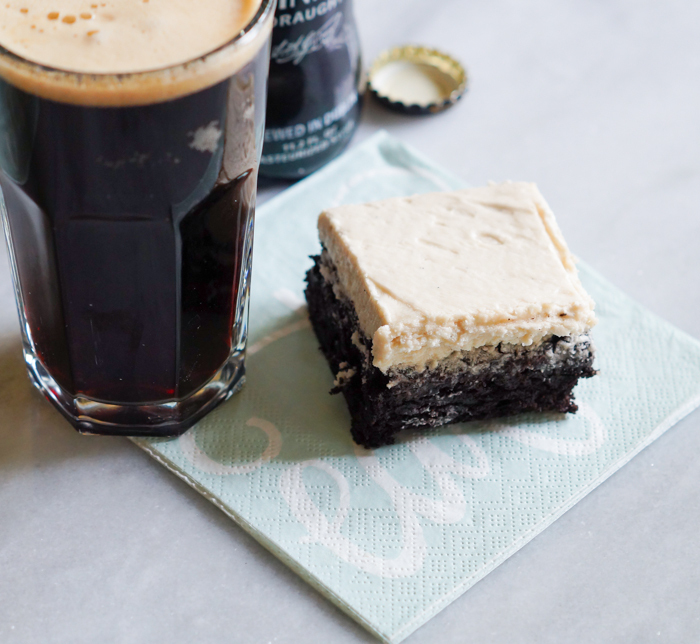 Beer + brownies ...what took me so long?!? Since Guinness has those lovely coffee notes, I decided to go for mocha brownies. The result? 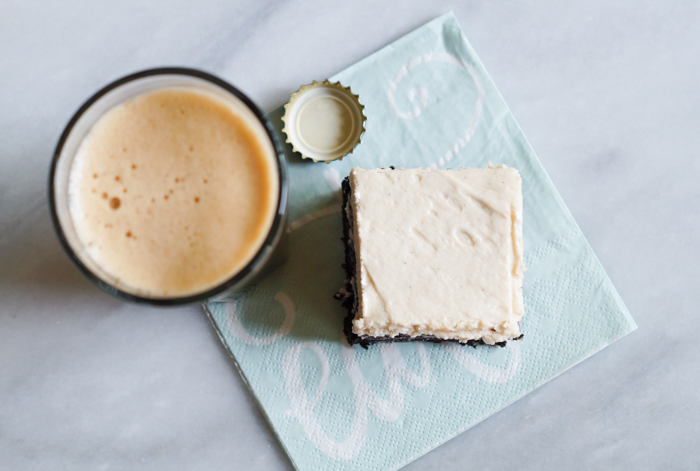 A rich, fudgy, espresso-spiked brownie slathered with a thick layer of luscious vanilla and Guinness frosting. 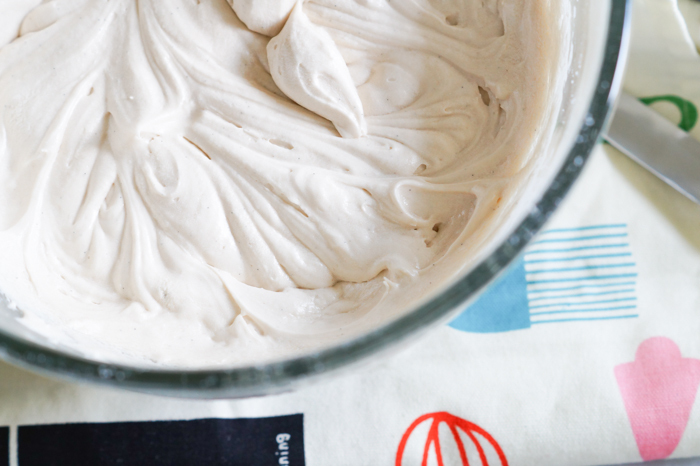 The beer in the frosting smells divine and tastes even better. 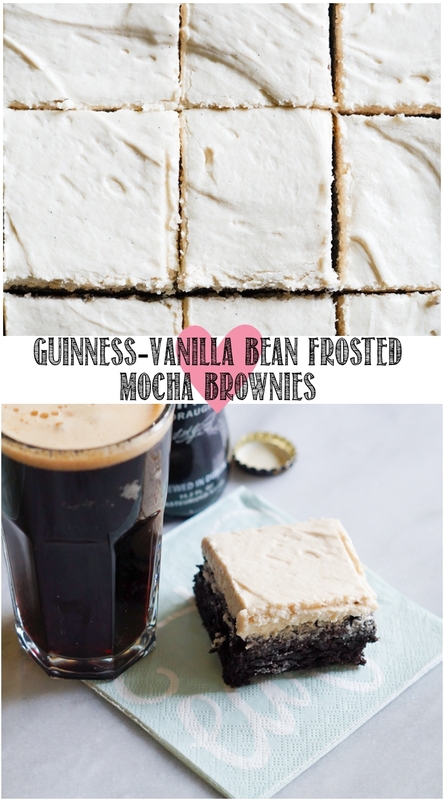 If only I could order a pint of Guinness frosting at our local watering hole! Feel free to use any dark beer here...stout, porter, bock...just maybe not Bud Light Lime. To make the brownies, you'll mix everything right in a saucepan; I love that. Maybe that's why I love making brownies so much. Grease a 9x13" pan. Preheat oven to 325. In a medium saucepan, melt the butter over medium-low heat. Once melted, stir in the sugars. Stir and heat until the sugar is hot, but not boiling, just another couple of minutes. Remove the pan from the heat and stir in the cocoa powder, salt, and baking powder. Combine the vanilla and espresso powder, then add to the batter. Whisk in the eggs one at a time. Stir in the flour. Spread the batter into the prepared pan. Bake for 28-30 minutes, or until done. Place on a wire rack to cool. Cream the butter until smooth. Sift in the sugar, add the beer, vanilla bean paste, and sea salt. Mix on low until combined, then increase the mixer speed to medium-high and beat for a few minutes until smooth and thick. Spread 2/3rds of the frosting onto the cooled brownies. Refrigerate for at least one hour before cutting. Using a bench scraper makes for the easiest cutting. *this recipe and post were originally posted on 6-9-16. 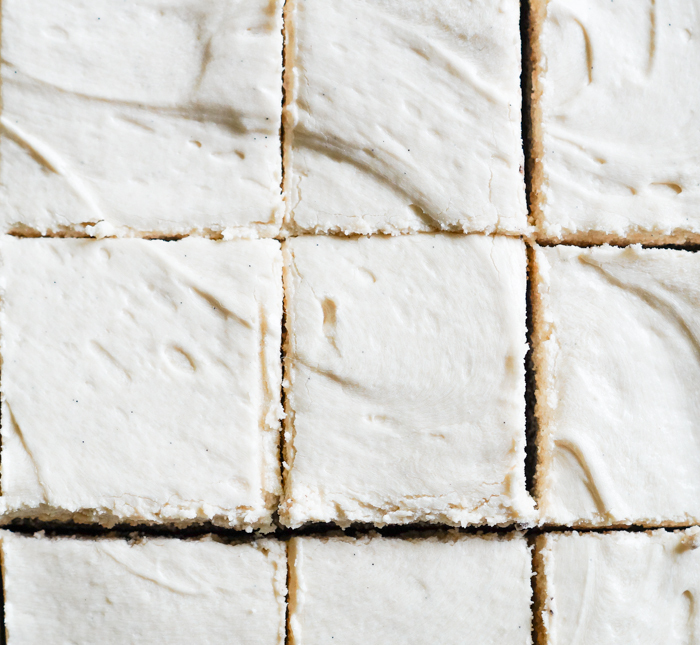 You mention needing 2 pounds of powdered sugar in frosting. You really meant 2 cups maybe? 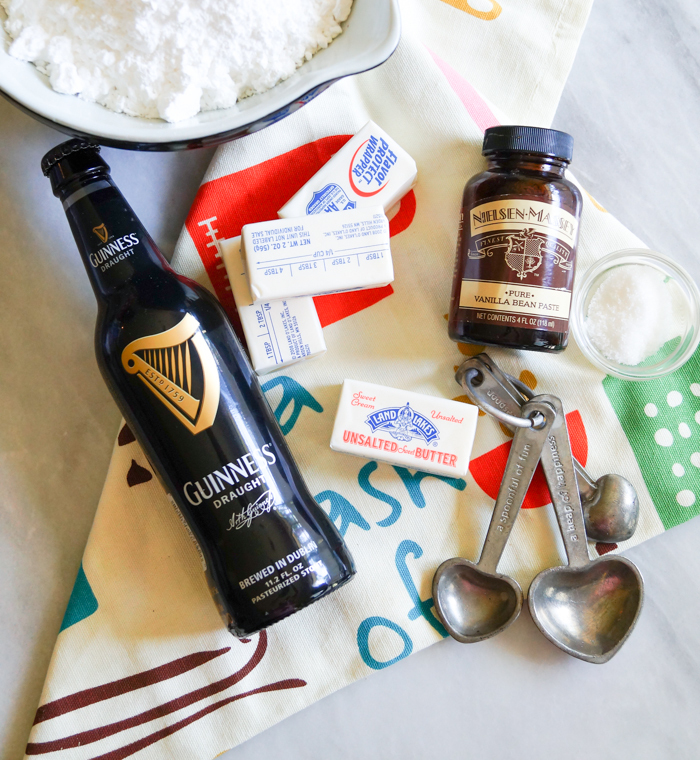 Is there beer in the batter and icing? Either I'm blind, or I don'tsee it in the list of ingredients above. These will be great for St. party's Day! The beer is in the frosting only...it's listed in the frosting ingredient list. :) Hope you love them as much as we do! These look absolutely gorgeous and super delicious! I tried these today! 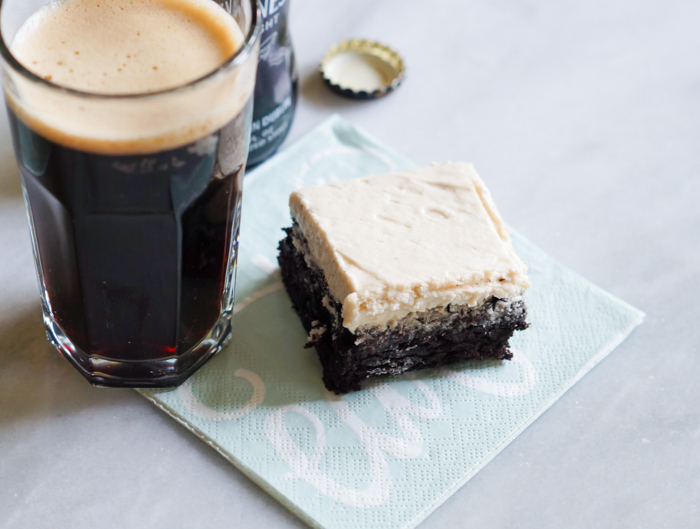 The brownie is amazing, but I found the beer in the icing really weak. I love the idea though, so I will definitely be experimenting with it! The brownies turned out great but I was disappointed with the frosting. 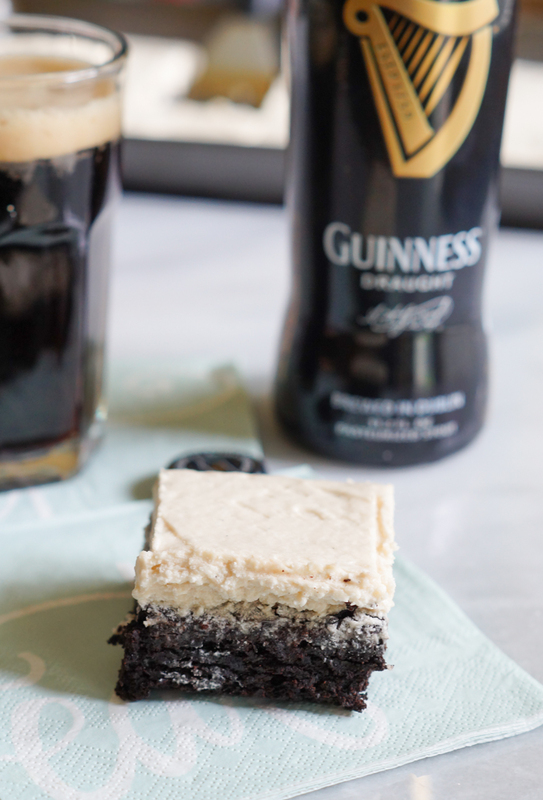 How do you stop the frosting from splitting when you add the Guinness to it? I haven't had that issue. 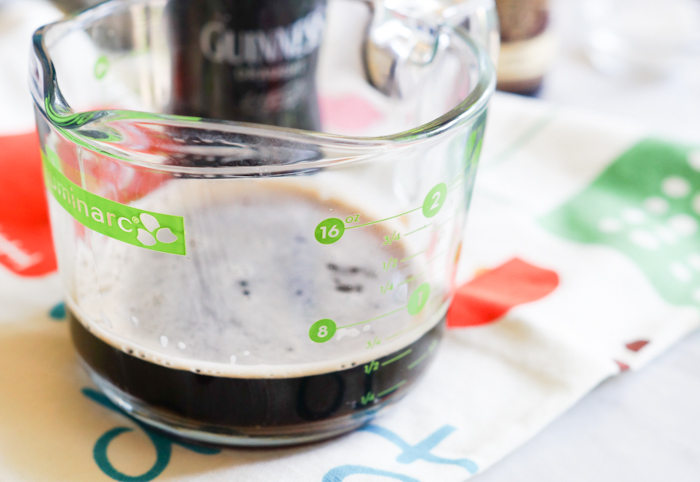 Make sure that your beer is not longer foamy and at room temperature. :) You might try beating it a little longer, too. When I have frosting issues, sometimes that's the trick.